So you’ve got 2 days in Siem Reap — sweet! But are you feeling a bit lost on how to make the most of your trip? Don’t worry because we’ve got you covered! Our itinerary will let you discover both the famous landmarks and the hidden treasures of this ancient capital of Cambodia. Let’s get started! Your 2 days in Siem Reap can’t start without temples! The magnificent structures are truly the highlights you cannot miss. You can find famous temples such as Angkor Wat and Bayon located among others in the Angkor Archaeological Park. The area is also a designated UNESCO World Heritage Site that spans over 400 square kilometers. 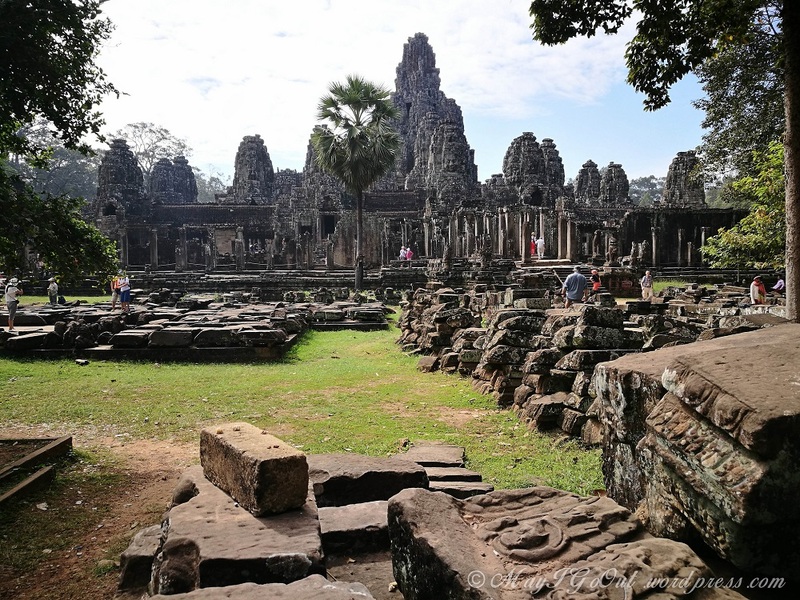 Generally, the Angkor Archaeological Park is divided into the Small Circuit and Grand Circuit to cover the temples, with tours on tuk-tuk or bus. While you may think 2 days in Siem Reap is enough time to fit in all of the temples, we recommend selecting a few and exploring them deeply instead. Trust us, being ‘templed-out’ is real. That’s why we think the biking experience with a local guide can be far more rewarding. For one, between the temples, you can explore the smaller roads passing through the villages dotting around the Angkor area. This is a fantastic opportunity to learn more about the local culture and not to mention the adventure of biking through the jungle! 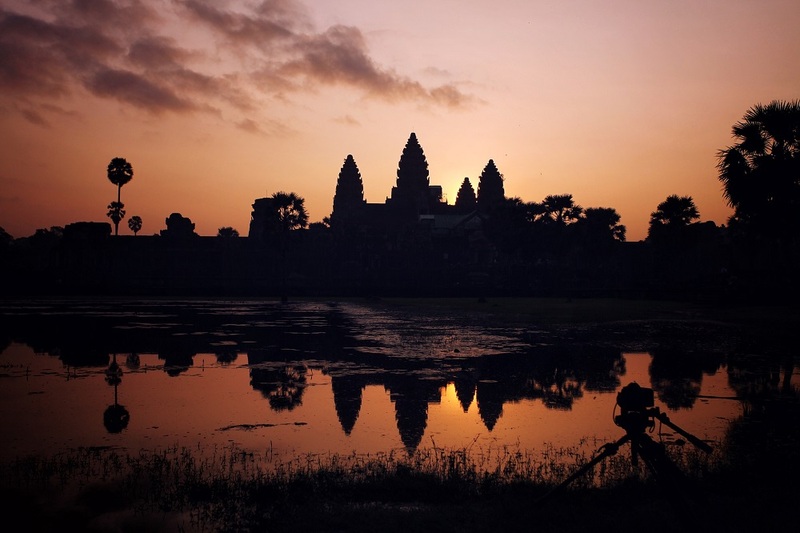 Of course, our list simply can’t start without Angkor Wat. Definitely expect crowds at the icon of Cambodia, but don’t let that distract you from the magnificence of the temple. Considered the height of Khmer architecture and art, Angkor Wat is rich in ingenuity, history and symbolism for you to explore. Sink into wonder and leave truly understanding why it is revered. And while the sunrise at Angkor Wat is spectacular, it might be disconcerting for you to see so many people with their cameras out. Having a local with you can help restore the magic as they can show you the best spots to watch the sunrise away from the crowds. If you’d like a quieter time, go later in the morning or early in the afternoon, when the tourist buses have left. This former Buddhist monastery and university is iconic for the giant tree overgrowing on its body. The temple was built in the reign of Jayavarman VII, who was the first king to adopt Mahayana Buddhism as the official state religion. The wall carvings depict symbols in Buddhism, such as the old wise man Ta Eisey. 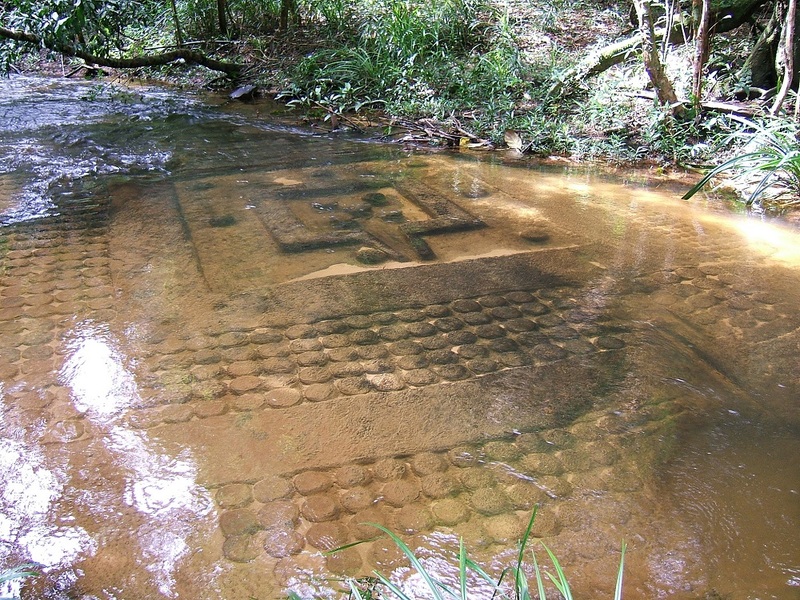 The temple is left mostly as it was first found in the jungle, though restoration efforts are continuing. For now, enjoy the nature and history surrounding the temple as it awaits to be transformed to its former glory days. 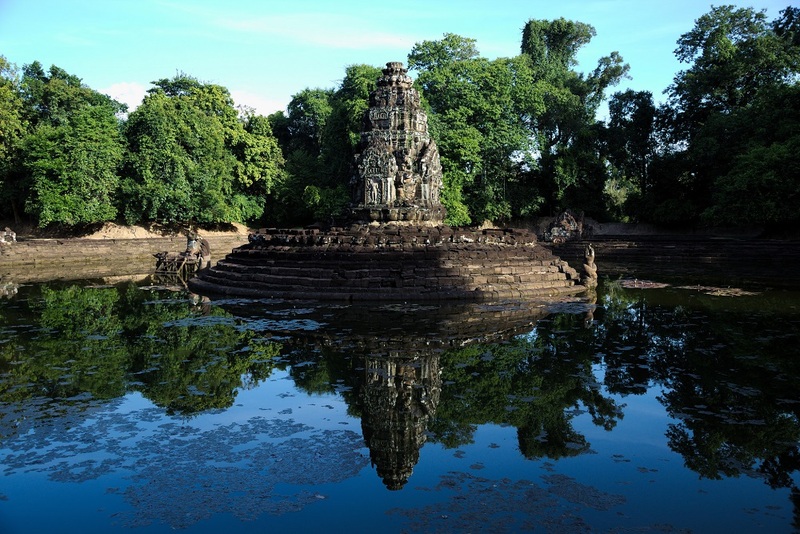 The last capital city of the Khmer Empire, Angkor Thom is worth spending a few hours to explore. Jayavarman VII established and ruled over the city in the late 12th century. Nowadays, much of it has been swallowed up back into the jungle, but it was one of the largest cities during that time. At its center is the magnificent Bayon Temple. The numerous serene smiling faces of the towers feel surreal to walk around. There are also extensive carvings on the wall depicting the reign of Jayavarman VII and the daily life of citizens. It’s definitely a highlight to have for your 2 days in Siem Reap! If you have time and energy to spare after exploring Angkor Thom, make sure to stop by the nearby temple Neak Pean, situated in the middle of the East Baray. Though small, you’ll be charmed by the beautiful water reflection of the four pools surrounding. On the way, you will also get to see the East Baray. Marvel at the human effort to create it and contemplate in the age-old debate of whether it is a practical reservoir or a religious symbol. 1). To explore the temples, you will need to buy a pass at the Angkor Ticket Office. Since you only have 2 days, get the one-day pass which costs 37$. Currently, you cannot buy the tickets online. Beware of third-party sources that claim to sell the tickets, especially online, as only tickets bought at the office will be accepted. 2). You will need to follow a dress code when visiting the temples. Skirts and pants must be below the knees, and shirts must cover the shoulders. 3). The temples open and close at specific times, so make sure to check the time before heading to the next temple! 4). For lunch, treat yourself to a hearty meal at one of the local restaurants nearby the temples. If you’re by yourself, try the popular Nom Banhjuk Somlor Khmer (នំបញ្ចុកសម្លខ្មែរ), which is rice noodle with a thick green fish and vegetable soup served on top. In a group of 3 or 4, a great set to order is the sour soup Somlor Mjou Srae (សម្លម្ជូរស្រែ), a roast chicken and a stir-fried dish. The first half of your 2 days in Siem Reap is almost at an end, but there’s still more to do! After an eventful day of exploring, recharge with some delicious street food. We know when it comes to food, it’s always great to have a local show you the best spots and orders to make. So, why not go with one? Make sure not to miss the grilled chicken and steamed snail! 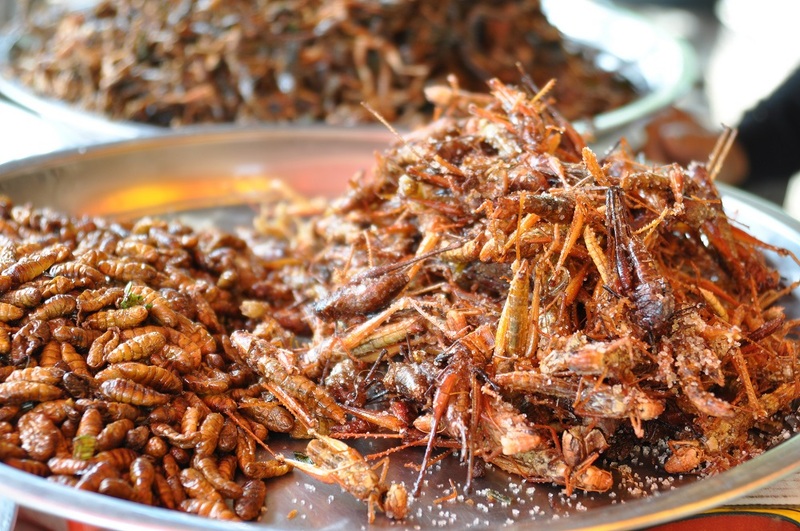 At the night market, you can also take a stab at the famed wacky street food: the deep-fried bugs. From worms to giant spiders, push your gag reflexes down and make some memories! You might even end up liking them. Need something to wash down those insects? We know just the perfect drink. At Sombai, experience the unique mixture of rice wine and rum that comes in 8 flavors inspired by local ingredients, ranging from coffee to green chili. It’s definitely a novel experience to take your taste buds through! What’s even better, you can find out exactly how the infusion process works through the workshop tour. 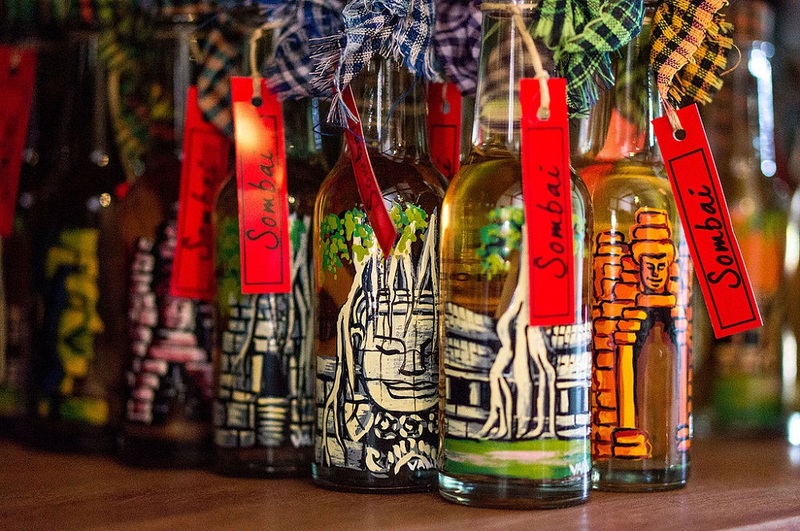 If you’d love to bring some of the drinks home or for later, they come in beautiful hand-painted bottles made by young Cambodian artists. 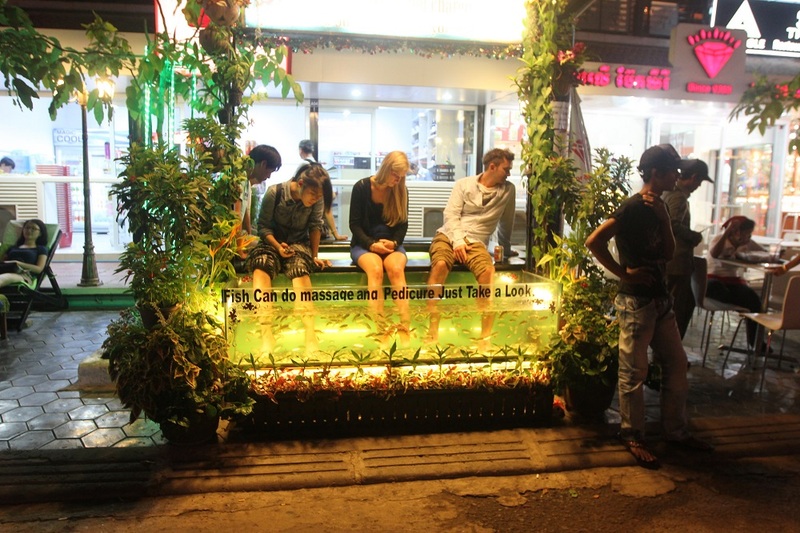 They’re the perfect way to remember your 2 days in Siem Reap. Why? Because they make for such lovely decorations that you wouldn’t want to throw them away. This is intentional. In fact, co-founders Lionel and Joëlle puts waste reduction at the heart of what they do. So while it is not usually on the agenda for many visitors, we definitely think your 2 days in Siem Reap won’t be complete without a visit to Sombai. 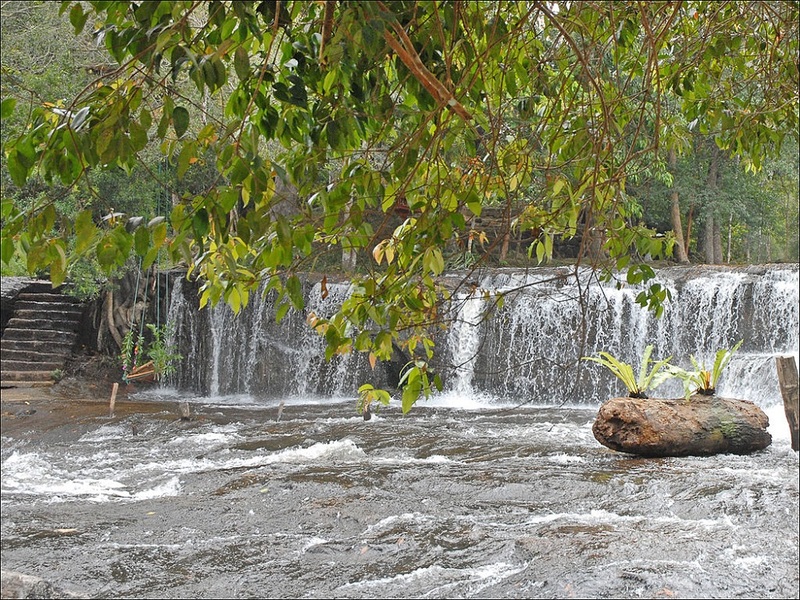 For your second day, take it slow and easy with a retreat to nature at Phnom Kulen National Park. The name “Phnom Kulen” translates to “Lychee Mountain” and to get there, you will need to rent a car or van, as tuk-tuks are not capable of driving up the mountain. Ask the staff in your hotel to help secure the rentals. Usually, renting a car for a day costs about $50 and a van between $60 and $80. 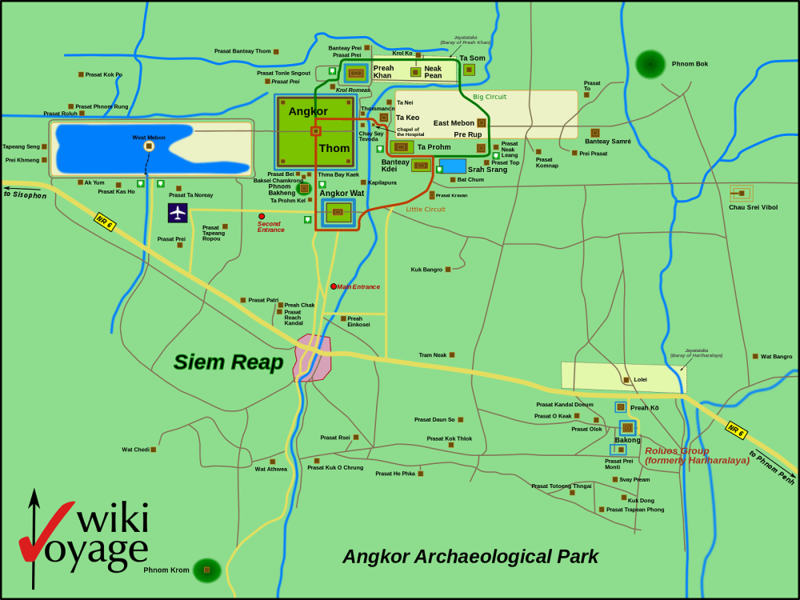 It is about a 2-hour drive from Siem Reap city to the park. There is only a one-way road to get in and out of the park. So, make sure to arrive before 11 a.m. to get through. Once you reach the top, relax at the waterfalls and cool down with a swim. For lunch, get into one of the huts of the restaurants around. Afterward, stop by the temple Preah Ang Thom to see the massive reclining Buddha statue. And finally, ask a guide outside the temple to lead you to Srah Damrei or Elephant Pond, where you’ll find ancient stone sculptures in the shape of elephants and other animals. Back in town, how about preparing dinner? Make your last evening in Siem Reap even more special by learning to cook the tasty local dishes from locals themselves. You can easily make this arrangement here, where you can visit the home of a family and enjoy your dinner with them. It’s the perfect opportunity to make new friends and collect new recipes to bring back home. 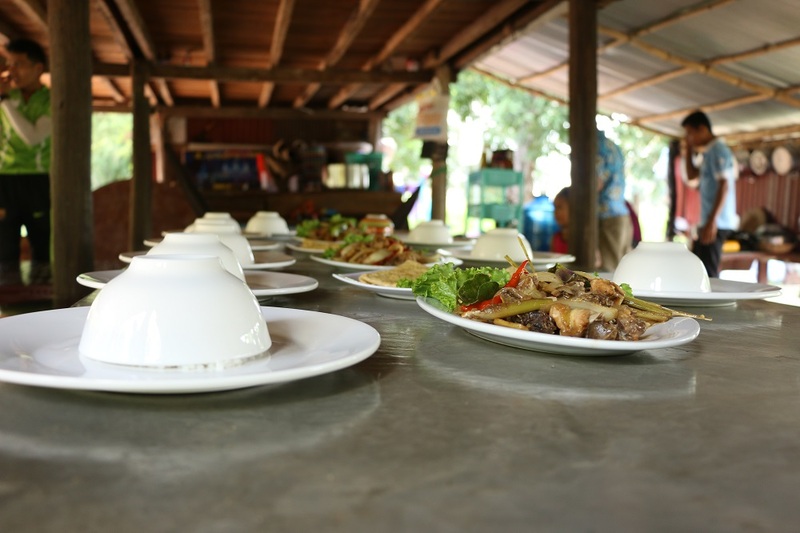 After all, what better way to reminisce about your amazing 2 days in Siem Reap than to cook the food you loved there? You can also experience the beauty of the countryside. The sun setting over the rice paddies will surely make you want to capture the moment. More than that, you get to learn about the way of life for the people in the village. If you’re looking for a non-touristy thing to do, this is it! 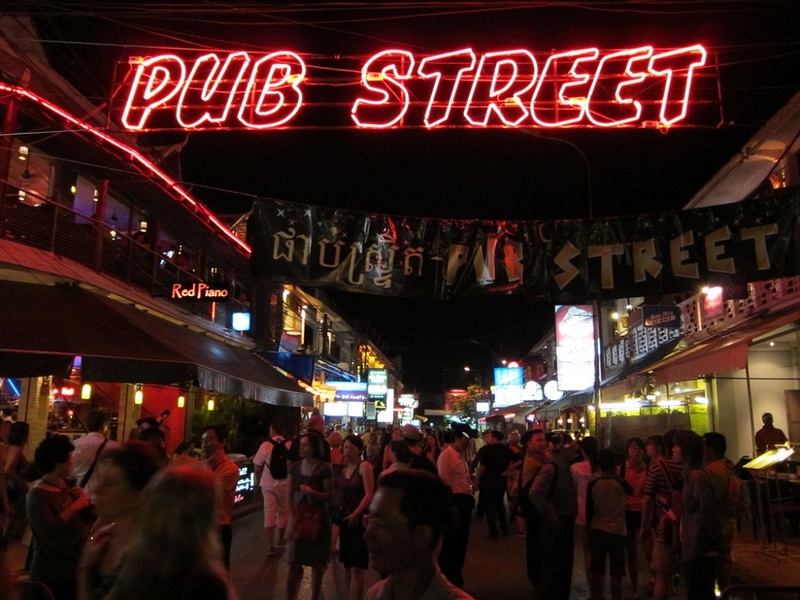 You can’t finish your 2 days in Siem Reap without a night at Pub Street! Colorful and lively, the popular street boasts many bars and clubs for the night owl in you to come out. Chill on a rooftop with a 0.50$ draft beer, or dance your heart out to the thumping music. With beats gushing out to the street, keep a lookout for any dance battles that might break out. Or better yet, start one yourself! If you’d just like to stroll around, then snack on Roti, the soft flatbread goodness originating from India, at one of the many carts dotting the street. If you’re not sure what to order, try the Nutella and banana topping. You can’t go wrong with it! The Indian inspiration doesn’t stop there. For women, you can also pretty up your hands by getting the temporary ink tattoo, Henna, from the many local shops around. You’ll feel like an exotic queen with those elegant patterns! After a while walking, you’ll probably find yourself back at the night market, since it’s so close by. If you want a bit of rest, try out the foot massage, or if you’re curious, a fish massage! You could also take the opportunity to shop for souvenirs. There are tons of beautiful colorful paintings and quirky items to get for your family or friends. Show them you still think of them while you’re enjoying your 2 days in Siem Reap! But if you can’t find the right souvenir, fret not. At the airport in Siem Reap or Phnom Penh, just look for the duty-free shop of Artisans Angkor. With a fine collection of silk apparel, jewelry, tableware and decorative stone carvings, you’ll surely find the perfect souvenir for your loved ones. What’s even more special is that your purchase directly supports Artisans Angkor’s social mission, which employs and provides free training for young Cambodians in rural areas to become skilled artisans. Their craftsmanship ultimately preserves the rich fine arts of Cambodian culture, so your support truly reaches far and wide. 1). Bike through the countryside and villages. You can soak in the soothing countryside and learn more about local arts and crafts. If you have no trouble biking for long periods, this is definitely recommended! 2). Go for an adrenaline rush at Angkor Zipline. 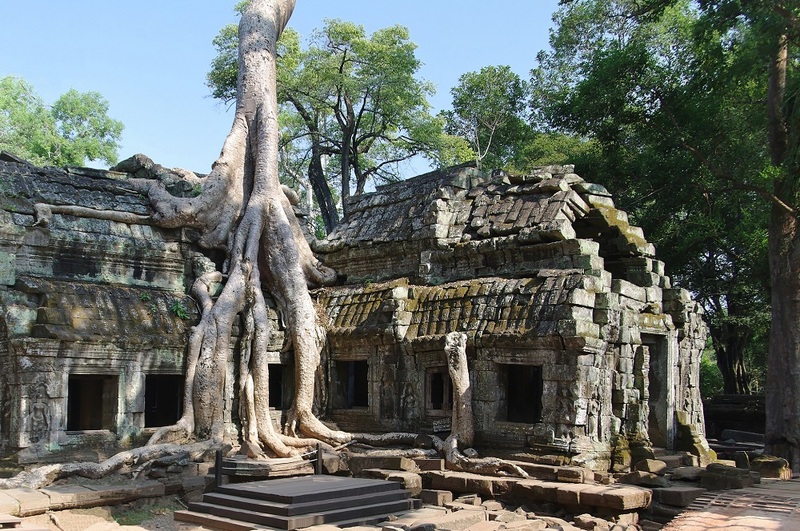 Fly across the beautiful surrounding nature near Ta Prohm temple! 3). Watch the performance of PHARE The Cambodian Circus at night. Don’t worry, there are no animals, only incredible acrobatic artists. 4). Visit the Tonle Sap Lake, an important hotspot of biodiversity that also houses ‘floating villages’. Make sure to time your visit during the rainy season, as the lake is largely dried up during the hotter months. 5). Delve deeper into the history and art at Angkor National Museum. If your goal to Siem Reap is to learn as much as you can about the ancient Khmer empire, then this is where to let your curiosity loose. 6). Learn the exquisite arts and crafts of Cambodian culture in the free workshop tour of Artisans Angkor. The guided tour is available in up to 7 languages. Ready to make your 2 days in Siem Reap unforgettable? It’s definitely plenty of time to experience some of the best Siem Reap has to offer. And don’t worry, you can always come back for more! Is there anything else that you want to know or want us to cover in future blogs? Let us know down in the comments!